Maybe fantasy baseball owners will consider drafting Atlanta Braves’ outfielder Melvin Upton Jr. this year. No, this is not a new Upton brother on the team. Melvin Upton Jr. is the birth name of B.J. Upton which was an abbreviation for Bossman Junior which was the nickname for Upton’s father, Manny. After posting the worst numbers of his career in 2013 and 2014, many assumed Upton was hoping the move to his birth name would change his fortunes at the plate. Quite the contrary according to MLB.com who shared the following quote from Upton regarding the name change. Upton is not the first major leaguer to change his name. Miami Marlins’ outfielder Giancarlo Stanton was referred to as Mike Stanton prior to 2012, but changed to his birth name after poor 2010 and 2011 seasons. 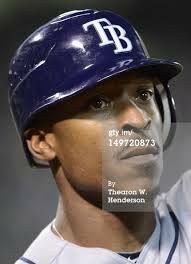 Melvin Upton Jr. or B.J. Upton. I am not sure it will matter. Upton batted .208 and ranked among the lowest of everyday MLB players last season in many offensive categories. He is on the wrong side of 30, and I see him being only a part-time player this season. Please visit The Game Day Report at http://thegamedayreport.com to view more of my articles and some by other writers on a variety of trending topics in the sport’s world. Filed Under: Uncategorized Tagged With: Atlanta Braves, B.J. Upton, Giancarlo Stanton, Melvin Upton Jr.